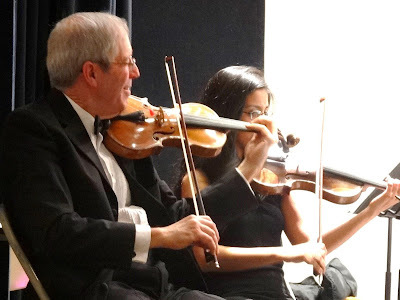 Through the auspices of the American Classical Orchestra, I recently completed some twenty-two outreach performances for elementary schoolchildren, mostly at public schools throughout New York City. Our programs focused on Wolfgang Mozart and his father, Leopold, who was a noted violinist and pedagogue. I found the number of music programs in these schools – combined with the enthusiasm of the students and their teachers for our presentation – gratifying, and decided that a good topic for this Conversation would be music education in public schools. I first met Joseph Sherman when he was the principal of the High School for Violin and Dance in the Bronx, which I visited to discuss potential outreach programs by the Music of the Spheres Society, a chamber music organization that I co-founded in 2001. (It turned out that he recognized me through having attended one of my early New York recitals.) In touring the school, I was impressed by the level of respect that he showed the students and their demeanor towards him. In future visits, I played for classes, performed a recital in its wonderful auditorium, and attended end-of-school-year concerts performed by the students, which were always uplifting. Although he retired from HSVD in 2008, Joe and I have remained friends ever since, and his enthusiasm for all kinds of music remains an inspiration. STEPHANIE CHASE: How did you first become interested in music? JOSEPH SHERMAN: My father and my uncle ran a music store in Brooklyn. My uncle, Arty Kanner – who was Dad’s business partner – was my first music teacher. He had played saxophone in swing bands during the Great Depression. That was prime time for live music in the U.S. People loved to go out dancing, probably as a distraction from the hard times. As a nine-year-old kid, I was too small to handle a saxophone, so Uncle Arty started me off with clarinet lessons. One of Arty’s friends from his swing band days was a top-notch sax man named Harry Terrill. Harry was the lead reedman in the Mitchell Ayres Orchestra. They were the band for the Perry Como Show, which was telecast live every week from a theater in Manhattan. A turning point in my life came when Harry invited Arty to take me to see the show. We stood in the wings just off stage. During the commercial breaks, the band performed to entertain the audience in the theater. When I heard that band, and saw a tenor sax man named Boomie Richman stand up and play improvised solos, it was a revelatory moment. Instantly my boyhood fantasies of playing for the Brooklyn Dodgers evaporated. From that point on, a jazz saxophone player is what I wanted to be. STEPHANIE CHASE: Coincidentally, my father also began his career playing in a swing band! He played piano in a small ensemble and they needed someone to make music arrangements for the players. When I was just a toddler, my father wrote the music for a children’s television show called Super Circus and conducted the band while wearing a ringmaster’s costume. Later, he worked for a nationally syndicated radio show, Don McNeill’s Breakfast Club, and then for ABC television, all of which had bands or orchestras. It’s too bad those days are over. What were your music education experiences as a New York City public school student? JOSEPH SHERMAN: I attended P.S. 148 in Jackson Heights, Queens. They had one music teacher, Miss Duffy, who played piano and gave group singing lessons to every class from kindergarten through sixth grade, so we didn’t see that much of her. When I was in sixth grade, Harry Horowitz, the instrumental music teacher of the local junior high school, visited every sixth grade class in the feeder elementary schools and gave every student a quick musical aptitude test – matching pitches, clapping rhythms. He invited selected students to be in his beginner string class or beginner band class when they entered junior high as seventh graders. This was the way instrumental music programs were run in the NYC public schools in 1957. Selected students would be in a heterogeneous instrumental music class every day in grades seven, eight and nine. All the string instruments were taught together to a class of about 35 kids. Like the strings, all the wind instruments, both brass and woodwinds, were lumped together in large classes. Mr. Horowitz discovered that I already had clarinet skills, so I never went through the system. I was immediately fast-tracked into the ninth grade orchestra. There were more than 70 kids in that group and they played pretty well. There were weekly assembly days then, when all the boys had to wear white shirts and ties. One whole grade of the junior high would go to the auditorium for some kind of presentation. The 9th grade orchestra would play for many of these assemblies. They also played in the school’s traditional Spring Concert, which was an evening affair, and for the graduation ceremony which was held in the neighborhood movie theater. After J.H.S. 145, I went to Stuyvesant High School. I graduated in 1962. Stuyvesant was still an all-boys school then. I played clarinet in the concert band, and my career as a saxophonist was launched at Stuyvesant. One of the music teachers was Moe Chusid, an excellent jazz pianist who studied with Lennie Tristano. He pointed the way for me to learn how to swing and how to improvise, using Frank Sinatra and Lester Young as my role models. I was the star of the student jazz band that Mr. Chusid directed. STEPHANIE CHASE: Did you continue to pursue music study in college? JOSEPH SHERMAN: Although I really wanted to be a musician, when it was time for college my parents wanted me to have a real profession, such as becoming a lawyer, so I attended Cornell. I played in Cornell’s marching band, which was fun, and in the concert band, and was disinterested in my academic studies. I started hanging out with the music majors who were on the other side of town at Ithaca College. My destiny was sealed when they invited me to attend a rehearsal at Ithaca College when Aaron Copland was invited to conduct his own music. I decided to transfer there as a music major and study saxophone. While at Ithaca, I studied violin as a minor. STEPHANIE CHASE: How did you get involved with public education? JOSEPH SHERMAN: My original intention was to be a performing saxophonist and perhaps get a teaching job in a college music department. In the spring of 1967, my senior year at Ithaca College, I auditioned at The Juilliard School, on saxophone, for a master’s degree program and was accepted with a scholarship. Unfortunately, shortly after my successful audition, I was classified 1-A by the Draft Board and would surely have been drafted before I ever had a chance to begin the school year at Juilliard. This was at the height of the Vietnam War, and I wanted no part of it. Teachers were given occupational deferments, so I got certified to become a teacher. It was not what I had originally planned, but teaching in New York City Public Schools turned out to be a very rewarding career for me. 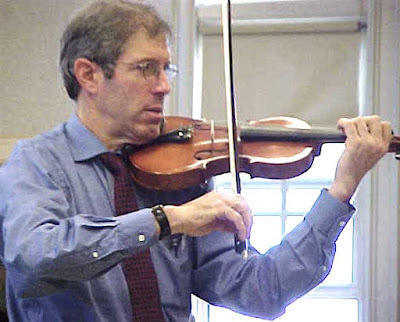 My first job was outside the NYC schools, as a string instrument teacher and orchestra director at the junior high and two of the elementary schools in the Larchmont-Mamaroneck school district, the suburban school district in Westchester County, just north of New York City. At my interview, I was asked if I could teach string instruments. “Of course,” I said. The music supervisor for the district called my bluff and hired me. Before beginning that job, I looked for a violin teacher to take lessons with. I found out that Oscar Ravina, a violin virtuoso who was a member of the NY Philharmonic, lived near me in Jackson Heights. He auditioned me at his house and accepted me as a student. He said: “You can read anything, but you can play nothing, so I will teach you how to play.” And he did. I took lessons from him for nine years. STEPHANIE CHASE: When did you become a teacher in the New York City School System? JOSEPH SHERMAN: In 1969. After two years, I left the Mamaroneck job for a higher-paying job as a music teacher and Band Director at Manhattan Vocational-Technical High School – an all-boys school located on 96th Street and First Avenue. It was just four blocks from the apartment building where I was living with my parents. During my three years at MVT, I developed a fine stage band – trumpets, trombones, saxophones with bass, and percussion. I wrote the arrangements and the band had a fine repertoire of straight ahead jazz, Latin jazz, and funky groove numbers like “Mercy, Mercy” and “Watermelon Man.” After three years at MVT, I looked for a job at a bigger high school with a full music program that included band, orchestra, and choruses. STEPHANIE CHASE: Where did you find such a job? JOSEPH SHERMAN: In 1973, I got a job as a string instrument teacher and orchestra director at Taft High School in the Bronx. When I started at Taft, I was one of six music teachers. It was one of the few schools left in the Bronx that was still able to mount the traditional band, chorus and orchestra spring concert. I remained there for twelve years. It was during my years at Taft that I really hit my stride as a music teacher. The 1979 Taft High School Orchestra was the finest school orchestra I ever taught. In the Spring Concert that year, their performance of the Charles Wodehouse arrangement of the final movement of Beethoven’s Fifth Symphony stunned the audience. It was a highlight in my career. STEPHANIE CHASE: You’ve told me that in the 1970’s you were active as a violinist in the Latin Music field. How did that come about? JOSEPH SHERMAN: In the 1970’s the Latin music scene in NY was flourishing. Many of my students were from the Caribbean and were into the whole range of Latin dance music. One of my Taft violin students, a lad from Cuba named Joey Medina, introduced me to Mike Lopez, who was a musician and arranger in a sub-genre called charanga. Charanga is the name given to music played by a band that has a specific instrumentation: one flute, two violins, two male vocalists, piano, bass, timbales, conga, and guiro. It’s a great sound that originated in Cuba. Mike Lopez introduced me to other musicians in the Charanga scene, and I was called in to play violin as a sub with two of the best Charanga bands in New York – Tipica Novel and Orquesta Broadway. When a group of Cubans in the New York area were forming a new band, I was invited to join as one of the founding members of Charanga 76, named after the year in which it was formed. I was active with the group for two years, performing regularly, making three recordings (vinyl LP’s), and finally going on a weeklong concert tour in the Dominican Republic in the winter of 1978. After that tour, I resigned from the band, because they had gotten too successful for me keep up with while holding down the full-time teaching job at Taft. STEPHANIE CHASE: Did you ever bring your experience in Latin music into your teaching? JOSEPH SHERMAN: My crowning achievement at Taft came after the Principal, Lillian Popp, supported my request to teach a Latin Band class. My students had been pleading with me to start a Latin band, and fortunately, my department chairman George Hall and Ms. Popp supported the idea. It was put in the school budget as part of my teaching assignment and was scheduled right in the middle of the day, making it available to both early and late session students to take as a music elective. The band that came together in that class called itself Los Salseros de Taft. The class was visited by Felipe Luciano, a prominent Latino TV news reporter, and later by legendary bandleader Charlie Palmieri. They both gave the students an enthusiastic thumbs-up seal of approval. Charlie also gave me a batch of his arrangements for my students to play. As you might imagine, Los Salseros de Taft created a sensation whenever they performed in concerts or at any school function. They were an honest-to-goodness, genuine, typical salsa band, and were a focal point for an aroused cultural identity and pride for an ethnic group that constituted about half of the Taft student population. They sang and made announcements to the audiences in Spanish. I don’t know if Los Salseros were unique in the NYC Public Schools, but if there was another authentic salsa band in any other school in NY, I never heard about it. STEPHANIE CHASE: How did you transition from being a music teacher to being a school principal? JOSEPH SHERMAN: It was a long process. In 1977, after five years of taking evening classes, I got a Master’s Degree in School Supervision and Administration from CCNY. With that came a NYC Board of Education Supervisory license. I didn’t use that license until 20 years later, in 1997. There were some serious bumps in the road. Taft H.S. imploded in the 1980’s. The double-session school that was bursting at the seams in the early 1970’s, became a single session, under-populated school after the epidemic of arson burned out large swaths of apartment buildings in the area. The music program all but collapsed. Taft’s music faculty shrank to two, a vocal teacher and me. The Board of Ed had a critical shortage of math and science teachers. They offered free courses at CUNY schools for any teachers who wanted to be recertified. I jumped on the offer, and from 1985 until 1997, I was a math teacher. I started with one year at Bronx H.S. of Science, then eleven years at Manhattan Center for Science and Mathematics, and then back in the Bronx for one year at DeWitt Clinton H.S. During the 1990’s, arts education enjoyed a bit of a revival in the NYC schools. There was a big foundation grant that went to something called Project Arts. The funds were used to restore arts teaching jobs in schools that had eliminated them. At least one credit each of music and art became a high school graduation requirement. I saw my opportunity to escape from my exile from music education. I didn’t even have to look for a job. I could have been an Assistant Principal in the school where I was working. 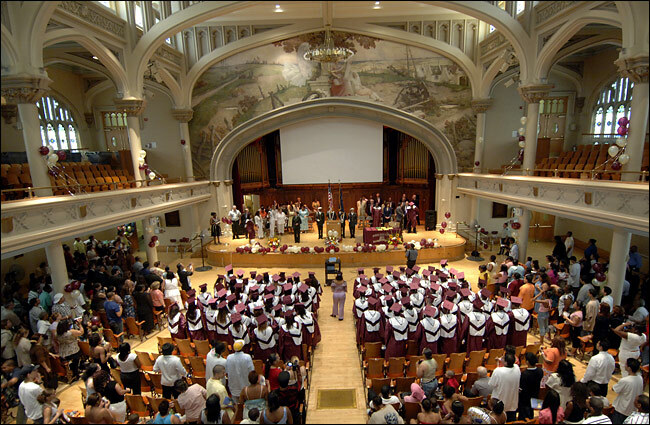 The principal at DeWitt Clinton asked me if I would like to head the revival of the arts department in the school. At that same time, in 1997, I was the President of the Board of Directors of the Bronx Symphony Orchestra. I had been a violinist in the orchestra since 1981. As Board President, I took the lead role in lining up venues all over the borough for the orchestra’s concerts. One of the concerts I arranged in 1997 was in the Morris High School Auditorium. When the concert took place, one of Morris’s AP’s, Bob Adler, who had been a teaching colleague of mine at Taft recognized me. After the concert, he urged me to interview for the position of Arts AP at Morris. I did and it became my first administrative job in the NYC School System. STEPHANIE CHASE: How did the High School for Violin and Dance begin? JOSEPH SHERMAN: Well, Morris High School had one of the poorest performances of any New York City School. For example, in 1997, we had a freshman class of 583 students. Guess how many graduated in 2001? STEPHANIE CHASE: I don’t know, one fifth? 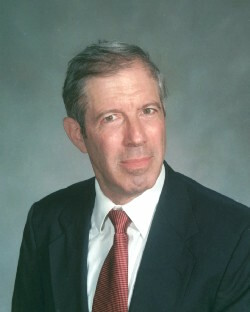 JOSEPH SHERMAN: Lower – just 79. Out of 583. STEPHANIE CHASE: I thought I was really low-balling the number – that is terrible. JOSEPH SHERMAN: The Board of Education – the most entrenched bureaucracy you can imagine – was phased out. The headquarters at 110 Livingston Street in Brooklyn was shut down. It was replaced by the Department of Education with offices in the old Tweed Courthouse on Chambers Street, right next to City Hall. The decision was soon made to replace the large high schools with smaller ones with a focus, such as on the arts or math, and create a better environment for the students. My colleagues and I were very excited about the possibilities and we all worked on proposals to submit. These included a mission statement and curriculum. My team had a dance teacher who wanted dance to be part of the school’s mission. Originally, I wanted music in a more general sense, partly because I wanted a school orchestra, but in consulting with Roberta Guaspari [whose dedication to teaching violin to public school students in East Harlem led to the film Music from the Heart starring Meryl Streep], she insisted that it should be only violin. She added that you can make an orchestra of just violins and that the parents wouldn’t miss the other instruments. STEPHANIE CHASE: So was she and her work an inspiration? STEPHANIE CHASE: Why is reading music delayed? JOSEPH SHERMAN: The act of reading music while playing is much more complicated neurologically; in fact, Oliver Sacks did research on what happens within the brain when a musician is playing while reading the score, and it shows the entire brain lighting up with activity. Imagine what happens when you’re in an orchestra – you’re reading the music, playing, following the conductor and listening to what’s around you! Suzuki decided to simplify the process by delaying learning how to read the symbols, that is, the notes, for the music. 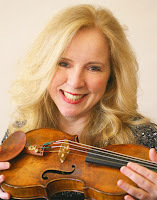 STEPHANIE CHASE: My mother, who taught violin mostly to children, always complained that the Suzuki students tended to be weak readers, but I understand the rationale and desirability of making a direct connection between the ear and the process of playing. What are some of the other courses that HSVD offered? JOSEPH SHERMAN: We had to start out with just a freshman class, and we offered science, math, and a humanities class that combined English, social studies and art. We had a prerequisite for admittance, which was that we required a parent to come in with the student so that we could get across the mandatory requirement of taking dance and violin classes and get their commitment in return, even with just a nod. The second year we added another freshman class, and filled the school in four years. STEPHANIE CHASE: What were some of the challenges facing the students who attended? JOSEPH SHERMAN: You name it. Most of them were from single parent households. There were substance abuse issues in some families, some of them were in homeless shelters, and the neighborhood was a threatening environment. STEPHANIE CHASE: Among the elementary schools where I did outreach programs was one in midtown, where a number of children were living in shelters. I can’t imagine the difficulties that they face, including just doing their homework. Did learning to dance and play the violin help the students academically and socially? JOSEPH SHERMAN: It really helped their self-esteem. This, in turn, was helpful in other ways. However, if I had to do this all over again I’d want to work with young kids, not high schoolers – I think it would serve them even better. STEPHANIE CHASE: I remember, at one of your HSVD concerts, a Vivaldi concerto with four violinists, who did a very good job. I was astonished to learn that two of them had been playing for only about eight months, and they treated Vivaldi like it was the greatest rock music. They had a terrific swagger in the way they took the stage. JOSEPH SHERMAN: I’ve had parents in tears because they were so proud to see their kids playing their violins and showing great discipline in their presentation. One mother exclaimed to me that she had never seen her daughter stand still before. STEPHANIE CHASE: You retired from HSVD about ten years ago, and yet you remained active in education. JOSEPH SHERMAN: The reason for my retirement was that my mother was terminally ill and my wife developed a progressive illness, but the Department of Education also did something that had a negative impact on our and other schools like ours. They mechanized the application process and had incoming prospective students list twelve different schools that they might want to attend. In an almost arbitrary manner, through a computerized system these students were assigned to schools, like a lottery, which meant that many of them had no real interest in studying the violin or dance. Often, our school was chosen because it sounded like a safe environment for the students, not because they wanted to pursue music and dance. This has unfortunately led to a downgrading of the school. It’s also a problem across American culture in that reading and language skills are declining, partly because everyone’s looking at their cell phone and people no longer communicate well. Learning to make music is a key to brain health, including the use of language. STEPHANIE CHASE: I’m in total agreement, and this is partly why my niece has her children enrolled at the Steiner School in New York, which does not permit the younger students to have cell phones or computers and generally shuns media in the home environment. I think they view a lot of media as providing a passive experience and potentially weakening creativity unless one is disciplined in its use. What are your views on alternative educational systems such as Waldorf and Montessori? JOSEPH SHERMAN: I don’t know enough about them to be able to answer. STEPHANIE CHASE: What are some of the things you have done since leaving HSVD? JOSEPH SHERMAN: As you know, I am an avid chamber musician and bicyclist, and I’ve been playing violin in the Riverside Symphony for six years. For eight years, beginning in 2008, I volunteered to do sing-alongs and read-alouds for kindergarten, 1st and 2nd grade classes at two Bronx elementary schools – P.S. 5 and P.S 66. I must mention a highlight of my career that occurred as a result of my volunteer work at P.S. 66 on Jennings Street. Liban Gomez, came to the Bronx from the Dominican Republic when he was 15. In his senior year at Alfred E. Smith H.S., Liban enrolled in a Saturday violin class for Bronx H.S. students that I taught at Hostos Community College. Liban went on to get a degree from CCNY and he became a 2nd grade teacher at P.S. 66. For several years after I retired as a Principal, I visited Liban’s class weekly for a sing-along and read-aloud session. By far the most popular children’s book I ever read to Liban’s class was The Judge by Harvey and Margot Zemach. I wound up setting the whole book to music and Liban’s class performed it as an opera before the entire school complete with sets and costumes that they made themselves. Another outlet for me opened up when the Bronx Library Center opened in 2006. Every year since then, I have organized and led small orchestra, chamber music and jazz concerts that are part of the weekly community events that the librarian Jean Harripersaud presents in the library’s auditorium. Some of those concerts gave me the chance to show myself and the audiences that I’ve still got it as a saxophone player. Along with two talented partners, singer Glendalys Sosa and pianist John Austria, I’ve developed a cabaret act for the Senior Circuit. Since 2012, we’ve performed at Senior Citizen residences in the metropolitan area. The median age in these homes is about 90. Some of them were bobby-soxers who screamed for Frank Sinatra 75 years ago. They are transported by our performances of the songs from that era. Those are also the songs best suited to my style of saxophone playing so we’re all having a wonderful time. 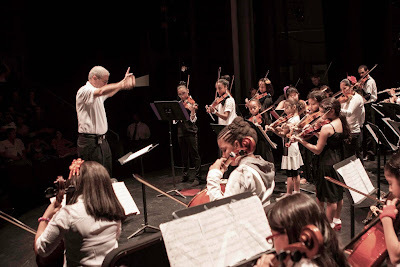 From 2010 to 2016, I was a violin teacher for the Upbeat NYC music education program in the South Bronx, and we even had a tour to Venezuela, which was a great highlight. Upbeat NYC is inspired by El Sistema, which promotes music as an agent of social change – they have the viewpoint that immersive musical study and experience greatly enhance individuals' personal and social development. STEPHANIE CHASE: I recall the time you invited me to attend a dress rehearsal at Carnegie Hall of the El Sistema orchestra conducted by Gustavo Dudamel. I thought they’d be good, but I was wrong – they were astonishing. First of all, I’ve never seen a larger orchestra onstage, and they played Beethoven’s Fifth Symphony stunningly, with great dynamics and a vibrant interpretation. They also used very unusual bowings, which worked beautifully. What is your best advice for someone embarking on a career in music education? Incidentally, I know someone who quit her job teaching an English class to high school freshmen after only two weeks because she could not control the class. JOSEPH SHERMAN: They need to follow the Mister Roger’s Neighborhood model. Every show had the same format – he always started with the same greeting, put on his sweater, and talked directly to the kids. I never had trouble controlling a class of students because I followed a similar pattern; for instance, in teaching an orchestra or band class I had the students line up outside the classroom. When they came in, it was in a neat file and they would go directly to their assigned chair and put their jackets on its back. They would then go to the instrument closet in a set order to collect their instruments and then return to their chair, get the instrument out of the case, place the case directly under the chair, and then assume a “ready” position. Once when I had to miss a class, someone voiced concern over how the substitute would do. I said that the kids would do it themselves all the substitute teacher had to do was watch. Sure enough, that’s what happened. STEPHANIE CHASE: For those teachers who face unruly students, this is very helpful! Thank you, Joe, for your decades of devotion to music and education.